We’ll love great business names, there is nothing better to grab the attention of your audience, and potential customers then the best business name but sometimes things just go wrong in the process. 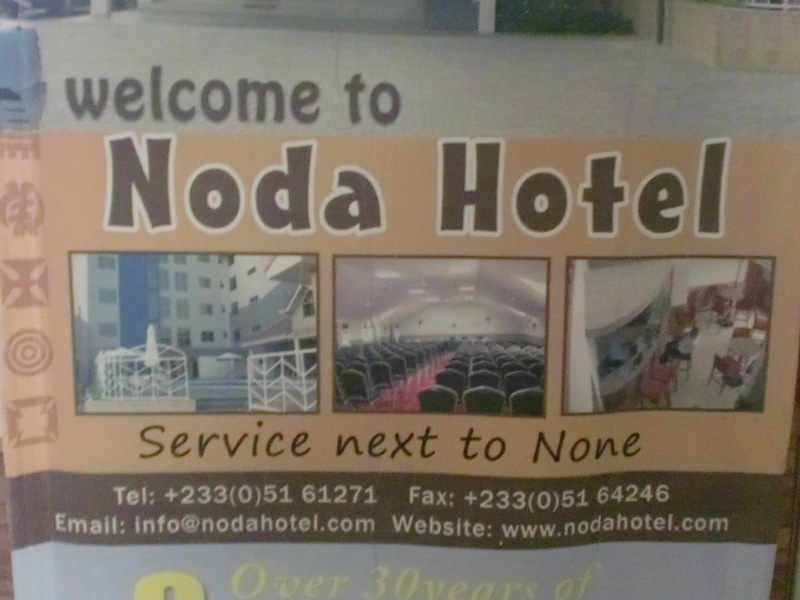 On a recent trip to Ghana, we came across this hotel name and we thought we would share it with you as an example of what not to do with your business name. Being the photographer in this instance, the name and tagline were quite fitting. I’m sure that this was a mistake with simply poor English but it is both a hotel and tagline that I will never forget. Do you have any photo’s of funny business names or business names that stand out. This may be a simple misinterpretation or bad grammar if you have any poor translations for businesses? Please we would love to hear it. Also if you have a business name idea and want to ask our readers what they think let us know that as well, we can post it and you can see how people feel about it. Thanks for visiting this site and if you are interested in some great ideas about how to get the best company, business or product name ever check out our best business naming tips. We have also started a series of tips for naming a business with great ideas like, Creating Creative Business Names and Making Sure Your Business Name Idea Has Corresponding Domain Name. Funny and the coups de grass is “service next to none.” Clearly this hotel did not do it’s research maybe went to a bad English teacher. Thanks for your comment. Funny what you said about the business name sounding like something a cartoon character would say and we have to agree with you. When you are considering your business name you should consider how the name can be broken down into smaller words or even how the business name can be pronounced differently. Together the business name with the poor choice of tagline this was quite a bad start for the hotel. Like you said when naming a business you should do your research and even if you are in a foreign country you can run the name or tagline through a spell check our ask a native speaker. Thanks again for your comment on business naming. That’s really funny. I hope you had a great time, do you have any great names for a restaurant? Thank you I did have a wonderful time, Ghana is an amazing country. For your request for names for a restaurant, we mainly have brandable business names on this site but some can be made into restaruant names by adding a tagline. Take Lyyon for example, can be made into Lyyon’s the best BBQ in town, Get your Lyyon’s Share, come with a Lyyon’s appetite, or something of the nature. If not, another part of our company does custom company naming and we’ll be more then happy to come up with a great name for you. Thanks again. Funny, remind me not to stay there. It was actually a really nice place, and we hate to criticize but, if you’re going to put your business name into English for foreign visitors, you had better ask a English speaking person. The owners of this hotel could have just asked their English speaking guests if this was a good business name or if their sign “service next to none” would work. It’s really interesting how many signs and business names around the world could have been saved by simply running the name through spell check or by asking someone. The best business names in the world, are the ones that are correct and that may take a little bit of research but it is well worth it! Have anymore funny business names, i’d love to see them? Thanks for the comment. We do have some more fun and interesting business names. We’ll be posing the soon. In the mean time we would love to hear what you think about our name ideas for an innovative company. Thanks we’re glad you liked our best tips for naming your business that you wanted to subscribe to our site. A great way to subscribe to our site would be to do it through our Best Name Ever RSS Feed. Here you’ll get all of the updates that we make to our site. Thanks again and please let us know if you have any questions about how to name your business.